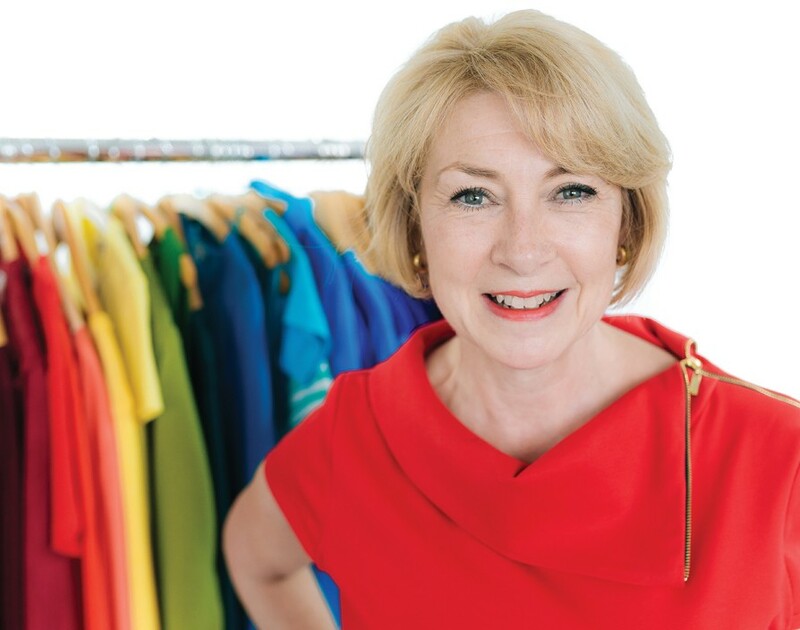 Helen Venables doesn’t exaggerate when she says that House of Colour saved her life. Hyperbolic as it might sound, the stylist franchise she’s been leading since 2008 helped her when she needed it the most. “When I had my third child I had post-natal depression,” the managing director remembers. The experience pulled her down into a dark emotional pit like nothing she’d experienced before. “It was a real shock,” Venables reveals. And the effects of the session didn’t fade. Deciding to keep following the consultant’s advice on how to dress and put on her makeup, Venables noticed how her life improved as well. “Very quickly I realised that as I presented myself to the world in a different way, the world responded to me differently too,” she remembers. And with it, her confidence returned. “It sounds crazy but it was that experience that pulled me out of post-natal depression,” Venables claims. It was also the moment that saw her take the first steps towards becoming one of the company’s owners and spearheading growth of the 90-strong UK franchisee network as well as scaling its international endeavours. Nevertheless, claiming the managing director role was still years into the future. To begin with, Venables decided to become a franchisee herself. This decision didn’t come out of the blue as she’d already resolved not to be a stay-at-home mum. “I wanted something that could give me the opportunity to build a business, something I could get my teeth into and something interesting where I could work with people,” she says. Following her House of Colour consultation, she knew this was the opportunity she’d been looking for. “I knew enough about business to know that if you’re passionate about something you’re far more likely to be successful at it,” Venables continues. In 2002 she bought the franchise in Watford where House of Colour’s headquarters is located. This gave Venables the opportunity to work closely with directors Lynn Elvy and Christine Windsor. They’d acquired the company from founder Carolyn Miller and had taken over as directors in the early 1990s. As an image consultant, Miller developed what would become the company’s colour analysis model in the 1980s. Feeling that the traditional four seasons model – where people are designated one singular season’s colour scheme – was too rigid, she developed her own concept and incorporated House of Colour in 1985. This concept had been further developed by Elvy and Windsor by the time Venables became a franchisee in 2002. Being the franchisee of the Watford territory meant she had the unique opportunity to not only learn from the directors but also to meet other members of the network. “I was able to understand a lot about the franchisees’ journey as they came in,” Venables says. She learned about the franchisees’ anxieties and how they could become successful – invaluable insights for her future franchise leadership. “So I feel very lucky and very privileged to have been in that position but I was also the right person in the right place at the right time,” Venables says. Despite this setback, the franchisees welcomed the new leadership. “I was in a unique position – they all knew me because they’d all come through the head office at some point,” she explains. Her connection with the network and her knowledge also played into why she was named managing director in 2012. “I was humbled really,” Venables says. However, the franchisees wouldn’t stay happy for long. By 2016, the leadership had realised that House of Colour had to step up its game, a decision hardly welcomed by all in the network. “Change is never comfortable for franchisees, is it?” shrugs Venables. The changes in question pertained to contractual changes which put more onus on franchisees’ performance. “Historically we’ve had lots of franchisees who were in it because they loved it but they didn’t actually want to work hard,” she explains. “And because we offer exclusive geographical territories, we were tying up the whole of the UK and not creating the income we needed. So we changed that.” An unfortunate side-effect was the departure of several old franchisees from the network. This new batch is distinctly different from the old crowd as House of Colour now looks for franchisees of a higher calibre. “We want business-focused franchisees,” Venables says. The franchise is particularly interested in aspiring franchisees who are both passionate and know how to work hard. Often, these, “wonders” as Venables calls them, are successful professionals who’ve reached a certain point in their careers where they want to work for themselves and do something they care about. And talented people are interested. “We’re increasing our number of wonders each year,” she states. Once green-lit to join the network, successful candidates are provided meticulous support, starting with the training. “It’s the best in the world,” Venables claims. The instructions happen in three stages. First, the franchisees are given three days of initial guidance at the Watford headquarters before they’re sent off to start booking clients. About a month later, the second stage sees them return to attend seven intense days learning about makeup and colour analysis. Stage three occurs between two and four months later when the franchisees learn a bit more about men and women’s personal styles. Following the initial training, the franchisees’ knowledge is constantly sharpened via webinars, regional meetings and the annual conference where the franchisor provides bi-annual updates about how House of Colour’s system fits in with overall fashion trends. “This means you can get lots of ideas about what shape you want your business to be in as a franchisee,” Venables says. As part of its effort to streamline the organisation, the company has also begun to consider tidying up its international services. At the moment, it has franchisees in Greece, France and Dubai. However, these off-shoots are run by British expats who’ve launched their own businesses and who could soon see their endeavours come to an end. “Things have changed and if we’re going to be serious about our contracts we may need to pull some of those,” Venables reveals. Similarly, the company has also postponed its planned push into Australia. “We’re not a huge corporation in any way, shape or form and we just don’t have the resources to deal with interviews at both ends of the day,” she says. Encouragingly, House of Colour’s US network has been growing. “We decided five years ago that we did have a market in America and we have looked at developing that,” Venables says. “It’s a huge, huge task but we now understand all of the legislation and the leading framework and all of that which is a nightmare in America.” Fortunately, the efforts to cut through the red tape have paid off. “In the US we’ve got 25 franchisees and I’m hoping that we’ll double that in the next year,” she says.